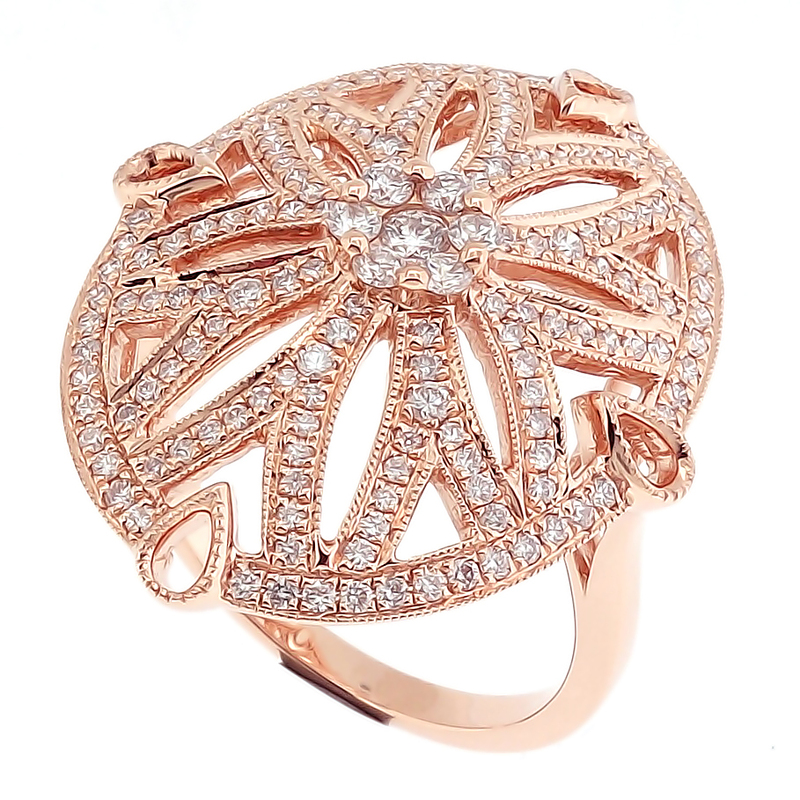 This beautiful Rose Gold Oval Sun Burst ring is reminiscent of 16th century Venetian Glass. The antique lacy patterns connect to the central diamond cluster in a dome like shape over the finger. Negatives and positives juxtaposed to create a fresh and interesting design.